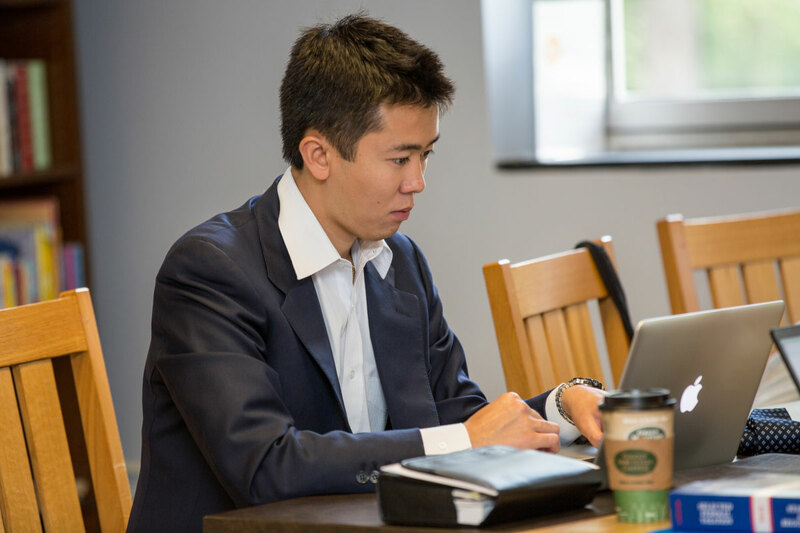 Our juris doctor program is rooted in practice-oriented instruction, featuring courses taught by renowned faculty – many of whom have extensive practice experience – as well as five live-client clinics and a far-reaching legal residency (externship) program that provide substantive real-world, hands-on experience. 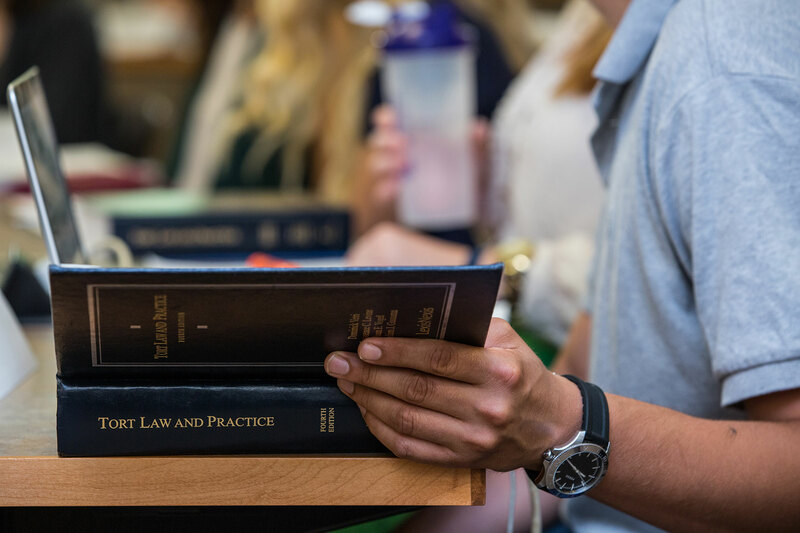 Qualified students can also take part in the Daniel Webster Scholar program, the only program in the country allowing students to graduate client-ready without the need to take the traditional two-day bar exam. 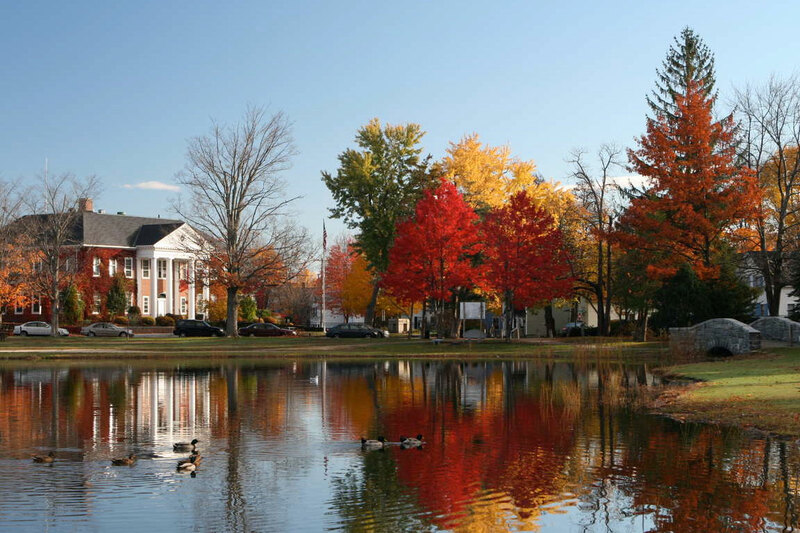 Offerings also include dual degrees in partnership with UNH, including JD/MBA, JD/MSW, and JD/MPP, as well as several joint degrees, including JD/LLM in Intellectual Property, and JD/LLM in Commerce and Technology. JD or dual degree candidates with an interest in sports and entertainment can pursue a certificate in sports law, entertainment law or sports and entertainment law from the Sports and Entertainment Law Institute. JD, joint degree, and master degree graduates specializing in intellectual property may opt for a Franklin Pierce Intellectual Property Law certificate. Students interested in shaping innovative health care policies and research may earn a certificate of health law and policy. A limited number of outstanding JD, joint degree, and master degree graduates in the field of IP study who are named Franklin Pierce Intellectual Property Scholars are awarded certificates. Beginning in the second semester of their first year, students with an interest in IP may choose from among a wide variety of courses. Each year, more than 30 IP-related courses are consistently offered. By successfully completing a specified number of IP courses, J.D. students can earn a certificate in intellectual property law; those who graduate with a total of 97 credits may earn both a J.D. and a Master of Laws in Intellectual Property in just 3 years. This curricular advice is intended to help students interested in pursuing an IP specialty to choose among available courses. Students interested in an IP-related career should begin by electing Fundamentals of IP in their second or third semester. Among the possible types of IP careers, patent law is unique. The value of patents is primarily determined by the scope of claims granted by the U.S. Patent and Trademark Office (PTO). Practitioners who wish to prosecute patents must qualify for and pass the patent bar. Opportunities to negotiate and draft licenses, sue infringers, advise on ways to protect trade secrets, and file appeals from PTO decisions do not require patent bar eligibility or admission, but the latter may increase opportunities for those types of work. Patent practice opportunities are also tied to particular technical backgrounds. Students aspiring to a career in patent law should investigate employment prospects for lawyers in their specialties. Trademark law offers a variety of career opportunities. Trademark lawyers acquire federal and state registrations and maintain common law trademark rights. They also litigate to prevent the use of confusingly similar marks, draft licenses, pursue cybersquatters and counterfeiters, police competitors' uses, register and protect domain names, advise clients, and educate the media on the correct use of marks. A student who hopes to pursue a career in trademark law should begin with Fundamentals of IP and Trademarks and Deceptive Practices. Students should consider not only those regularly-offered courses listed below, but relevant IPSI and master classes; students who aspire to a career in trademark law are encouraged to participate in either the IP and Transaction Clinic or a legal residency that will provide opportunities for hands-on training. Copyrights protect works ranging from books, music, and motion pictures to computer software from unauthorized copying, adaptation, distribution, and public performance. Copyright law potentially affects many individuals and businesses, as well as nonprofit organizations, such as schools. Students who aspire to a career in copyright law are encouraged to participate in either the IP and Transaction Clinic or a legal residency that will provide opportunities for hands-on training.